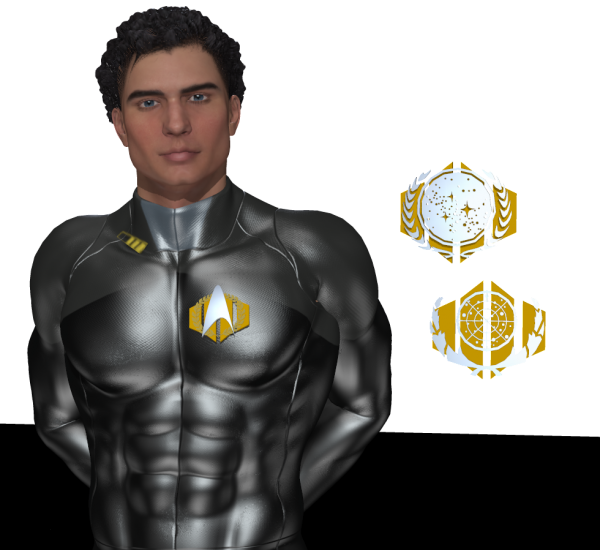 Included here are 4 sets of Lo-poly ComBadge props which I had created with primatives to support any of the Star Trek M4/V4 Bodysuits or Uzilite The New Adventures textures sets I have created. These are used by members of Starfleet High Command or can be used by Diplomats (ie 25 Century and later). Material mats are provided to change the badges colors to gold, silver, black and white, or use your own... For M4 and V4, but can be re-parented to anyone. Objs are provided.